We are a registered charity which since 1982 has been working to rescue, conserve and find new uses for historic buildings at risk of decay or demolition in Stroud. 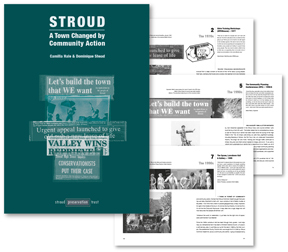 Our projects are good for Stroud's economy and environment, turning derelict buildings into an asset to the town. The foundation for each conservation project is a sound understanding of the building's history. We rely on the voluntary work and determination of our trustees and build partnerships with owners, leaseholders, funders, contractors, architects and many others to make each project a success. The Trust continues to look after the buildings in its care, educate others about the significance and value of historic buildings and assess potential new projects.